Have you ever bought foundation from a counter only to realise it’s too dark for you? Or find that you need a lighter foundation in winter but don’t want to buy several different shades? My solution for this is…. White foundation! Simply mix up some of your existing foundation and add a few drops of white foundation until you reach your desired perfect match. Do a swatch test on your jaw line to make sure there is no difference between face and neck and avoid the mask effect! 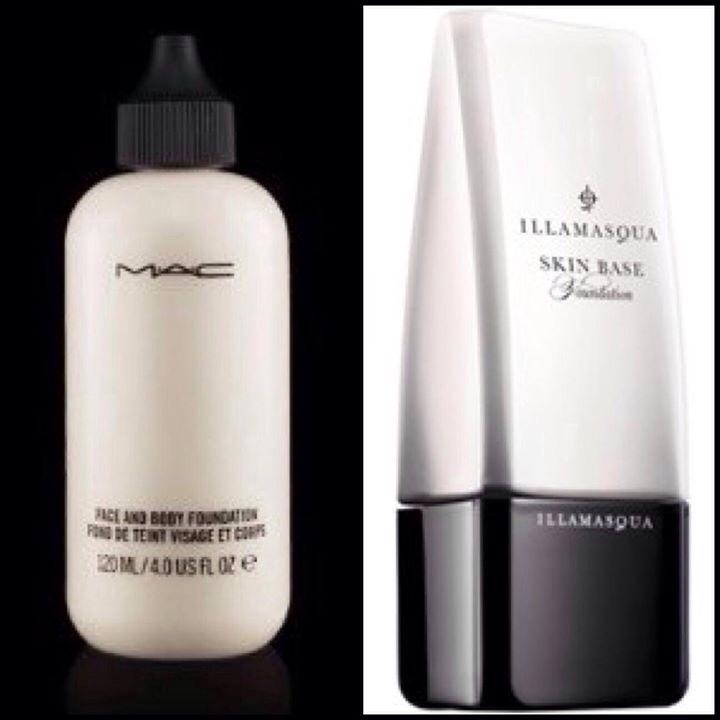 White foundations are available from M.A.C. Cosmetics in Brown Thomas and Illamasqua available from DebenhamsIRE. To make your foundation last longer apply a primer first. Primers make the skin smoother and can help diminish small lines and open pores to help you achieve a more flawless looking finish. To get the most out of your foundation an economical tip is to apply foundations with clean hands & blend with a foundation brush as sponges can absorb a lot of your products and be very wasteful!